Trump Administration Quietly Starts Review Of China's Trade Status : The Two-Way The move is surprising to U.S.-China watchers, and comes just days before President Trump is set to meet with Chinese President Xi Jinping in person for the first time. 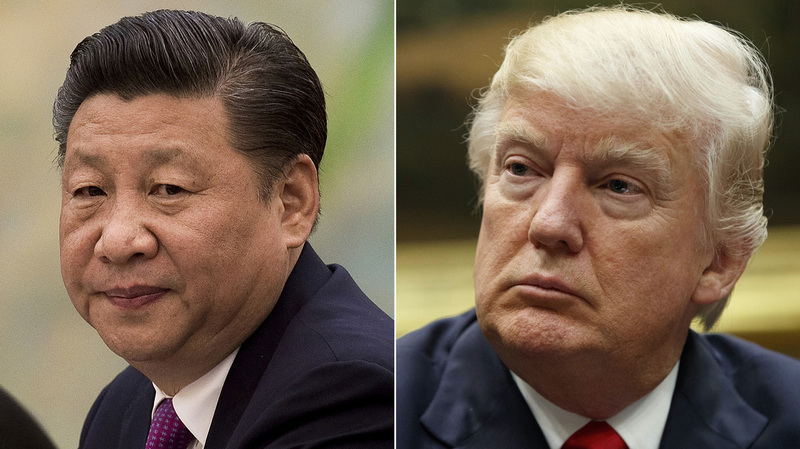 President Trump and Chinese President Xi Jinping are expected to meet face to face this week at Trump's Mar-a-Lago resort in Florida. Just days before President Trump is set to meet with Chinese President Xi Jinping, the administration has made a move that has some U.S.-China experts scratching their heads. The Commerce Department has quietly put a notice into the Federal Register stating that the U.S. will review a hot-button issue between the two superpowers. What's in question is a longstanding designation of China as a "non-market economy," or a country that operates outside of the norms of developed nations when it comes to trade. The U.S. has more power to take action against China because of this so-called NME status if it believes that China is, for example, dumping steel into the U.S. at prices that are unnaturally low and that hurt U.S. industry. The U.S. can basically force Chinese companies to pay taxes that effectively raise the price of such products in the U.S. market. Escaping from this label is something China has sought for more than a decade and that Chinese leaders consider a matter of great national pride. "From China's perspective, they want to get out from underneath this distinction," says Chad Bown, a senior fellow with the Peterson Institute for International Economics in Washington, D.C. But here's what's puzzling: After all its tough talk about China, why is the Trump administration doing this now? "I find it very intriguing," Bown says. "It caught me off guard." He didn't expect the Trump administration to be delving into this issue right before the two leaders meet. Given Trump's anti-China rhetoric during the campaign, experts say it seems unlikely the administration would throw China a giant carrot by allowing it to escape from NME status. Bown says the move could be a response to China having recently initiated a dispute through the World Trade Organization challenging its NME status. So this might be a first step by the Commerce Department in the process of mounting, in effect, a rebuttal — to show that China should continue to be considered a non-market economy. We've reached out to the Commerce Department and will update this story with any response.